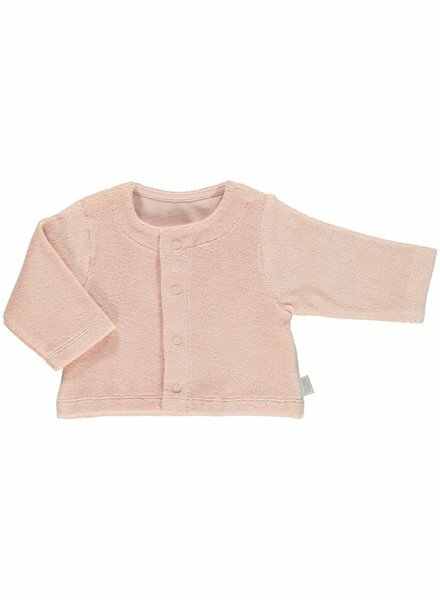 Organic cotton terry cardigan with popper buttons. Lovely girly pink. Looks great on the baby bloomers by Poudre Organic but also on skirts and jeans for older children. Organic cotton Terry sponge shirt. Wooden shoulder buttons on the right. Lovely girly pink. Looks great on the baby bloomers by Poudre Organic but also on skirts and jeans for older children. Organic cotton terry shirt. Wooden shoulder buttons on the right. For both boys and girls. Looks good on skirts and jeans or the Poudre Organic bloomers.